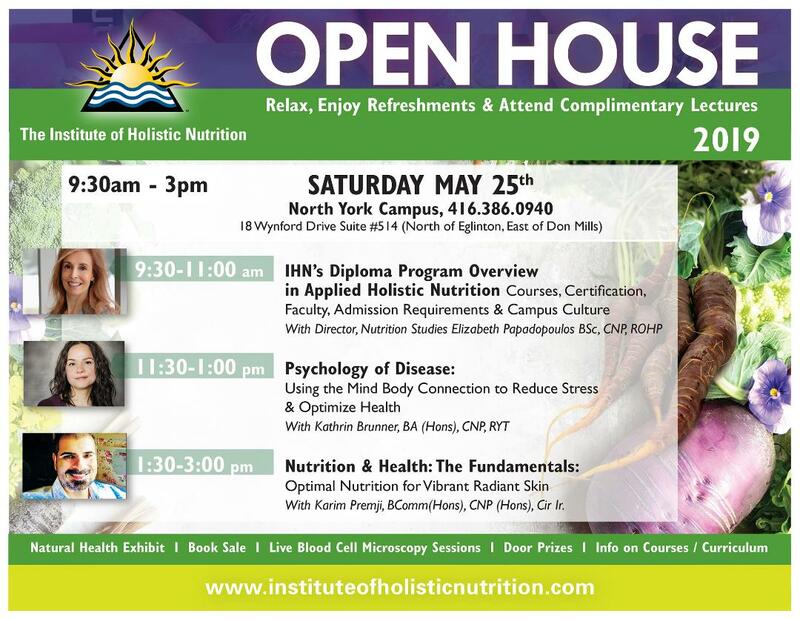 Join this informative presentation to learn all about the Institute of Holistic Nutrition and our Applied Holistic Nutrition Diploma Program. Our Director, Nutrition Studies Elizabeth Papadopoulos BSc, CNP, ROHP, will be discussing how to start our program, including the process for application and admission requirements. You will also learn all about the certification that IHN provides and be informed about the broad range of experienced industry practitioners that make up our faculty. Information regarding our exclusive Co-Operative Placement Program and various career opportunities after graduation will also be covered. The lecture will also include experience on what a typical day is like as a student at IHN. Come discover the uniqueness of our program and learn more about IHN’s role in the community and field of natural health for the past 23 years. Stress is connected to disease occurrence, progression and recovery. Recent polls report that over 70% of Canadians are feeling an uncomfortable level of stress in their daily lives. It is undoubtedly important to learn how to reduce stress in order to optimize health. In this talk, you’ll learn which techniques are most effective, including nature therapy, holistic nutrition, essential oils, mindful movement, meditation, breath work, and which tools can be supportive, including biofeedback devices and health apps. With Karim Premji, BComm (Hons), CNP (Hons), Cir Ir. Beauty is not just the products you apply to your skin but is also a reflection of the interior terrain of the body. Radiant skin is something we generate by ensuring we have a diet that includes the right building blocks. In this lecture, you’ll learn the key fundamentals of how proper digestive health can impact healthy skin. We will also discuss macro and micronutrients; the right healthy fats, proteins, vitamins/minerals or specific phytonutrients that can aid in bringing out the beauty from within.